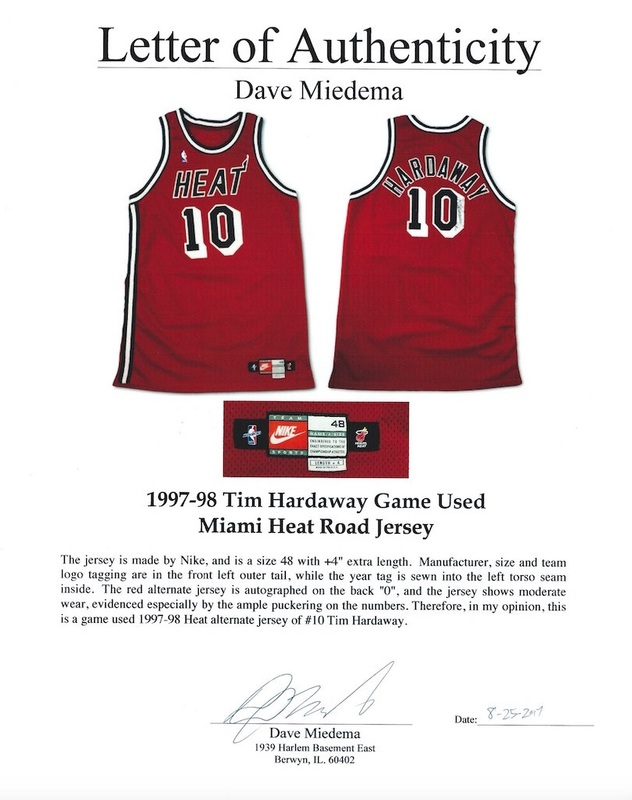 This amazing 1997-98 Miami Heat game used red road jersey was worn by point guard Tim Hardaway during the regular NBA season. 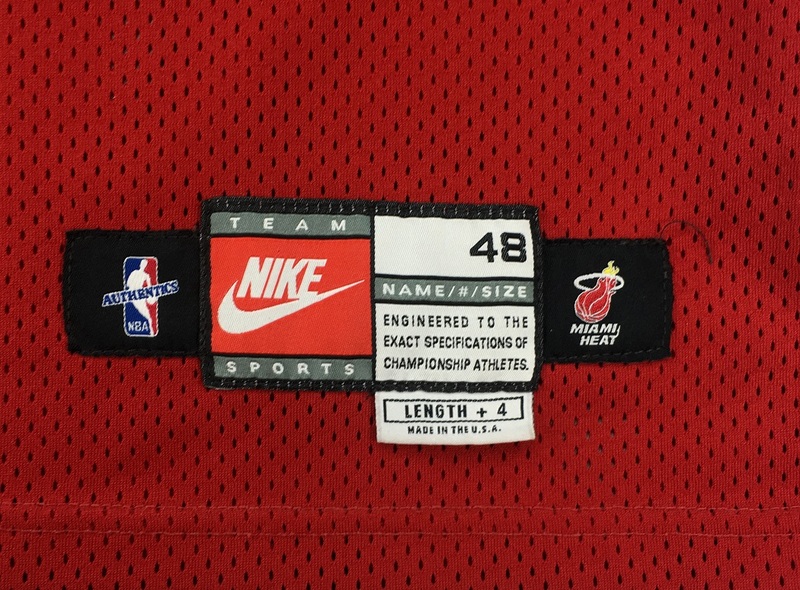 The Nike size 48 plus 4” length jersey is appropriately tagged and in our opinion shows signs of appropriate game use. 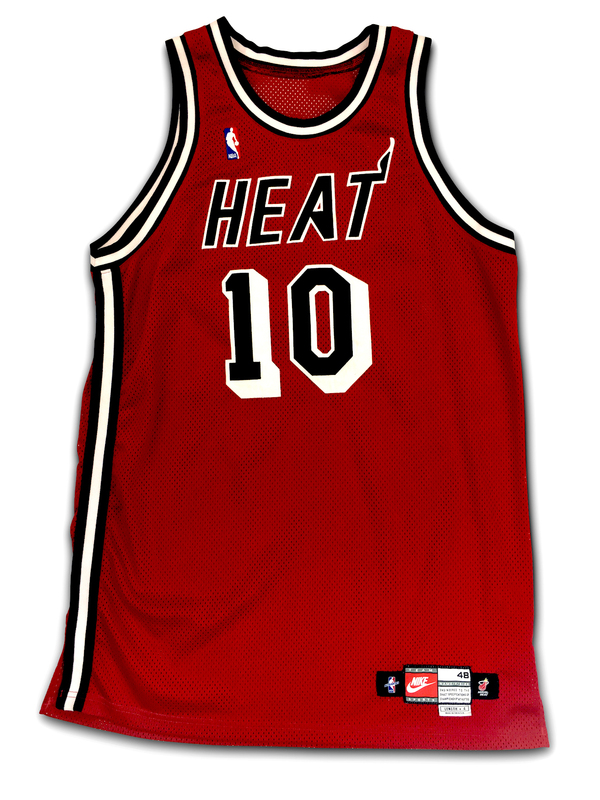 Also the "HEAT", NBA logoman and "10" on the front of the jersey are positioned almost identical to the jersey that Hardaway is wearing the in provided game action photo. If the photo were of a higher quality, this jersey would have an incredible chance at being a documented photo match. Hardaway used black Sharpie to autograph the garment on the back “0”. 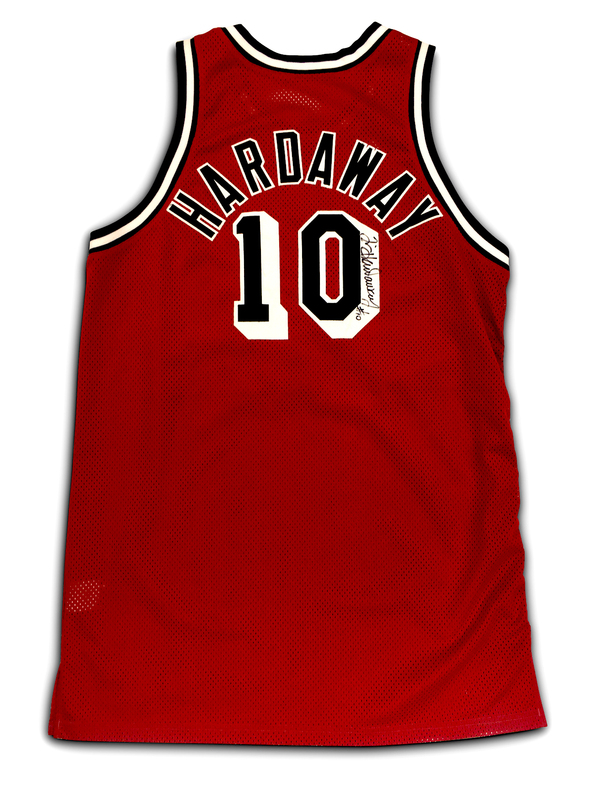 Hardaway was a five-time NBA All-Star with 15,173 points and 7,095 assists to his credit. He also was a member of the gold medal-winning United States men’s basketball team in the 2000 Olympic Games. The jersey is accompanied by a LOA from game used expert Dave Miedema.